Carlos Sainz has taken the lead in the 2018 Dakar Rally from Peugeot teammate Stephane Peterhansel, becoming the first driver to claim back-to-back stage wins in the event's car category. Sainz had recorded his first stage win of this year's Dakar in the Arequipa – La Paz test, and picked up right where he left off after a rest day in the Bolivian capital. Opening the road in the 425km timed special, he arrived at the finish after four hours and 49 minutes, clinching a stage win that was made easier by dramas for teammate Peterhansel. The Frenchman, who had led the way by 27 minutes in the general classification before Saturday's stage, was almost three minutes up on Sainz after the first three waypoints, before hitting a rock while trying to pass a competitor from the bike category. Peterhansel's 3008DKR Maxi sustained heavy left-rear suspension damage and was left stranded. Fellow Peugeot driver Cyril Despres assisted with repairs and the car eventually resumed the run after losing over an hour and a half. Peterhansel finally completed the stage 1h48m off Sainz's pace, and slotted into third in the overall classification, between the Toyotas of Nasser Al-Attiyah and Giniel de Villiers. 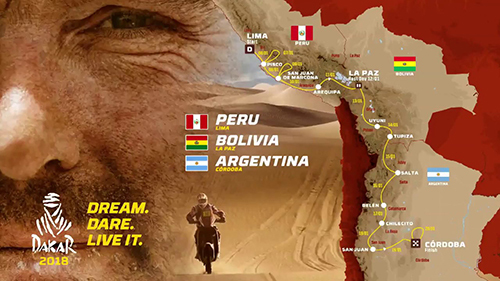 Joan Barreda notched up a third stage win of this year's Dakar Rally, as Adrien van Beveren reclaimed the outright lead in the bikes' category. 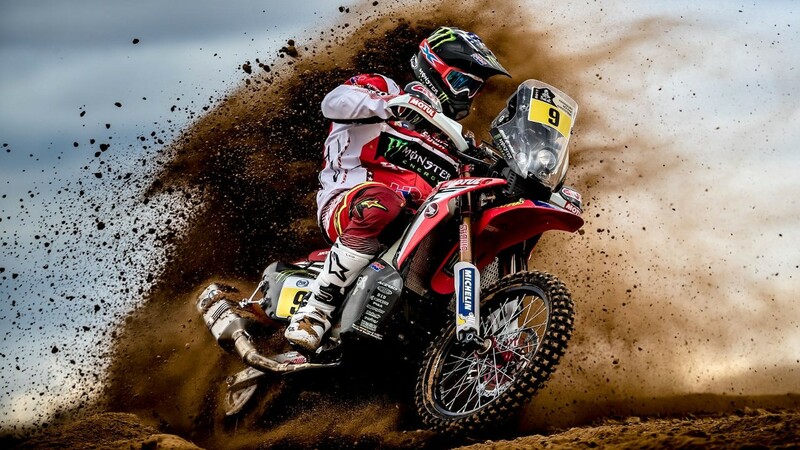 Saturday's 425km La Paz-Uyuni test was the longest of the South American event so far, but Honda rider Barreda was unstoppable from the outset, leading at each and every waypoint. 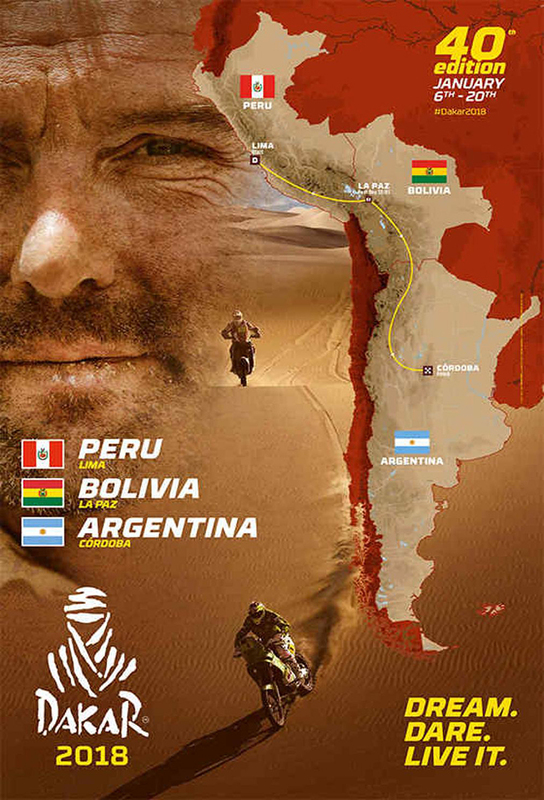 The Spaniard had begun the day in fifth overall, nine minutes behind teammate and erstwhile leader Kevin Benavides, but climbed to third after clinching the 21st stage win of his Dakar career. Toby Price was KTM's highest-placed rider on the stage in fourth, but remains sixth overall behind KTM teammate Matthias Walkner and the second Yamaha of Xavier de Soultrait.